The Knot-a-Collar is a unique approach to dog collars. 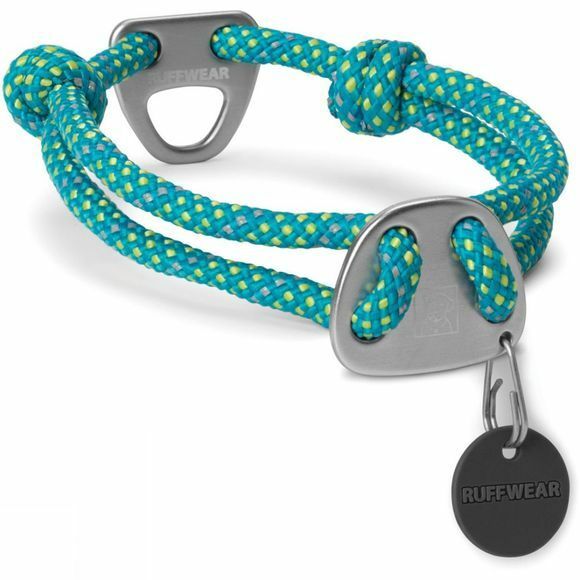 Ruffwear's low-profile design provides a clean and elegant climbing-inspired solution for an everyday collar. the sliding fisherman knots are adjustable for a customised fit and the all-metal hardware keep your dog secure. Reflective trim aids their visibility in low-light conditions. 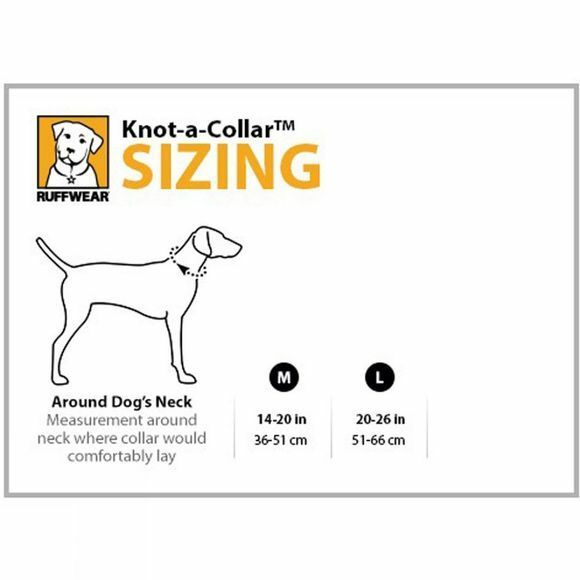 The collar's round profile settles comfortably in short or long fur and reduces matting. You can easily add or remove tags with the Quick Ring and annoying tag ingle is reduced by the silicone silencer.